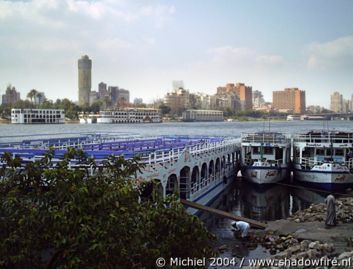 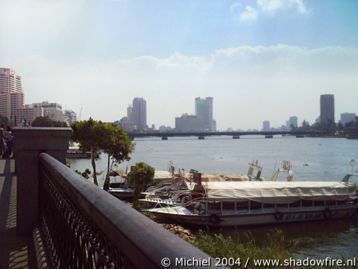 If you survive Cairo Frogger, you get to see the Nile. 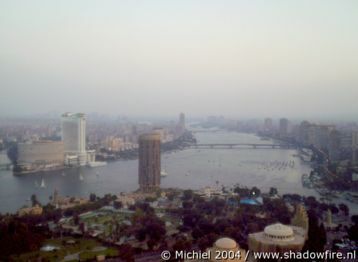 South view on to Cairo and the Nile. 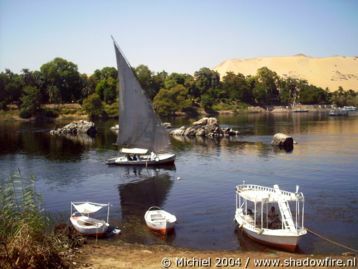 Felucca sailing - The west bank south of Luxor viewed from a felucca sailing boat. 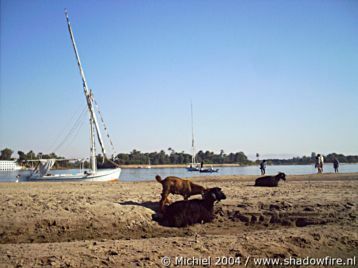 Felucca sailing - Taking a break to meet some goats. 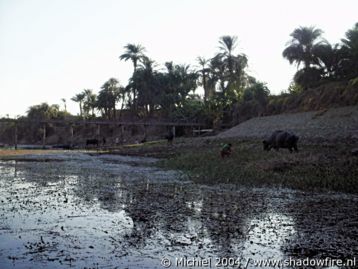 Felucca sailing - Boy hurding a waterbuffalo (shady area, r). 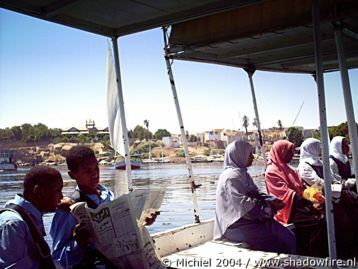 Felucca sailing - Waterbuffalo wasn't impressed by the boy. 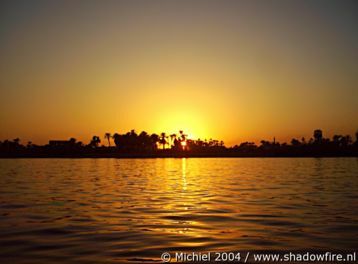 felucca sailing - (Another) sun set viewed from the Nile. 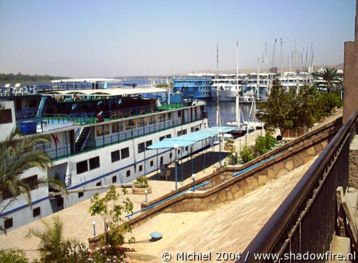 Many Nile cruisers dock in Aswan. 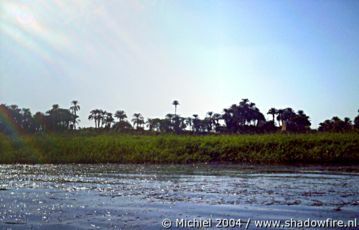 On our way to Elephantine Island where the Nubian village is located. 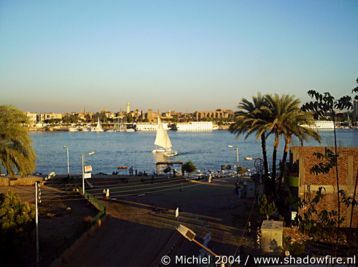 Nile view from the shores of the Elephantine Island.